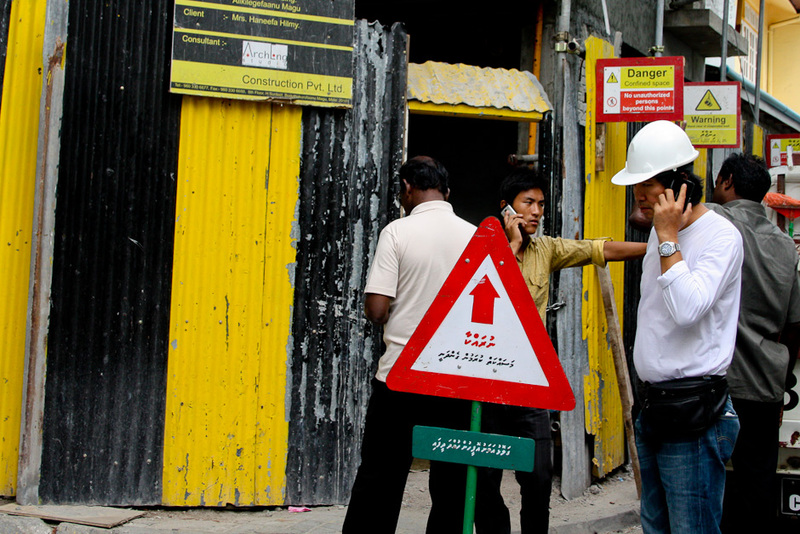 Guys at a construction site in Malé. Its good to see some safety features at construction sites like these.Most of the construction sites I see in Malé have some sort of safety signage. Wonder why everyone at work is talking in to their cell phones all the time? I just realized that those warning signs are mostly in english. They should have them in dhivehi as well.